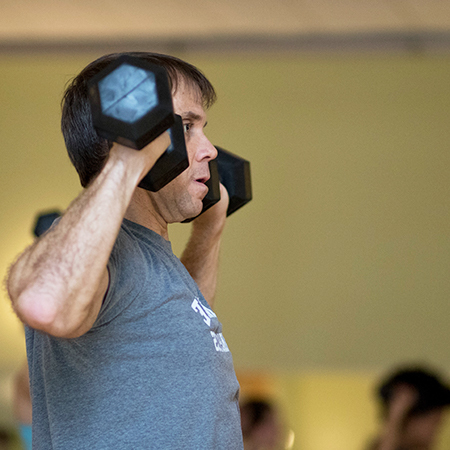 At FFC, a balanced, strong mind is as important as a balanced, strong body. Our restorative and strengthening yoga and Pilates offerings will leave you centered and energized. From our detoxing heated vinyasa flow practice to the classic methods of core-strengthening Pilates mat, we have something for everyone. 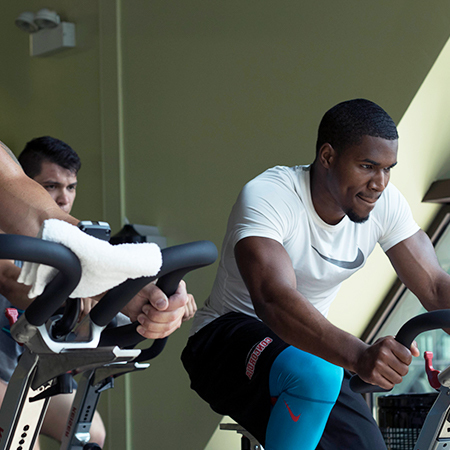 FFC’s variety of spin classes, from Spinning Interval to Iron Ride, are sure to get your heart pumping. A great low-impact form of exercise, our expertly-led cycling classes offer a great fitness option for beginners and experts alike. Our top of line Keiser M3 bikes accommodate both normal gym shoes and indoor cycling shoes. 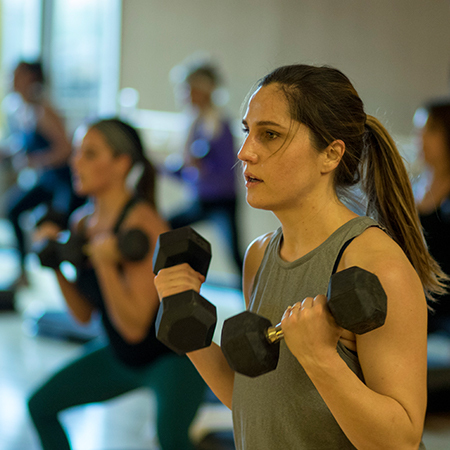 Our performance training center HIIT classes are designed to give you the most efficient workout in the shortest amount of time – with a little friendly competition for good measure. Utilizing MYZONE heart rate monitoring systems, our high-energy coaches will deliver what you need whether you are a beginner looking for supervised circuits or an athlete looking for high intensity interval training. 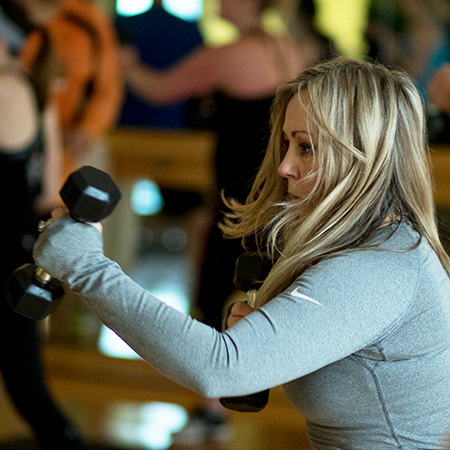 Take your workout up a notch with our muscle-toning strength training classes. Whether sweating through high intensity intervals to heart-pumping beats in Chisel or giving everything you’ve got with a full-body heavy rope training workout in Urban Athlete, you’re definitely going to feel sore tomorrow. FFC has some of the most elite group fitness talent in the city, so naturally we had to create our own signature class formats. With over 15 options to choose from, you’re sure to find a class to fall in love with. A great way to introduce a friend, family member or co-worker to FFC is by inviting them to try a group fitness class with you free. There’s a great referral program going on now – check it out at ffc.com/refer-a-friend. Look for the BFF icon in the schedule below to see which classes are BFF-eligible.